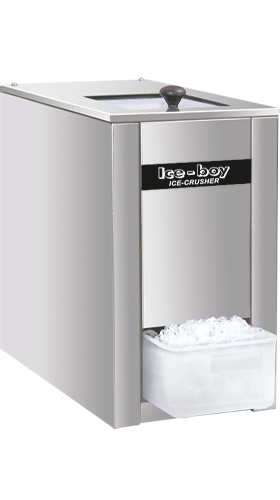 Crystal pieces of Perfect Ice Cubes, effortlessly crushed by 4 Stainless Steel Blades of 2mm thickness each. 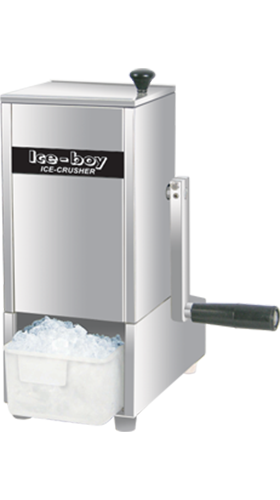 These Crushers made from German Design and Technology are a must for every bar and café counter! Widely used for Cocktails, Mocktails, Juices, Kulfi Faluda, Lassis, etc. Also used for Salad Counters, Sea Food & Cold Cuts Display and Transportation, Scientific Labs, etc.